What is more fun and rewarding than being able to sit down and create something beautiful in just one afternoon or perhaps as a weekend project? 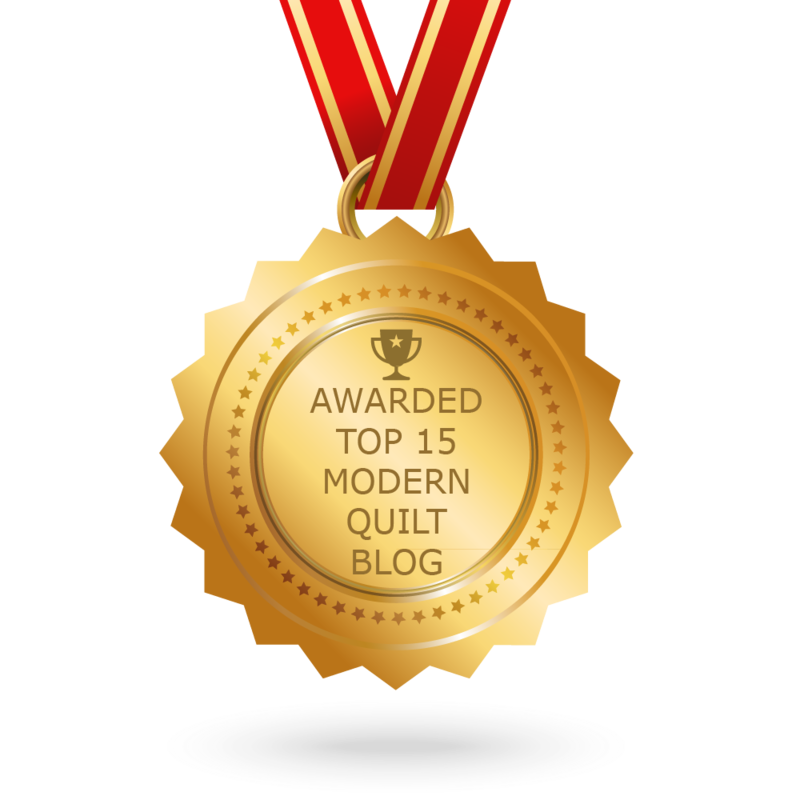 Having an elegant, stylish fabric design to do it with and having most of your pieces pre-cut so! In this post I'll walk through the materials you'll need and each step in creating this gorgeous half-square triangle pillow. 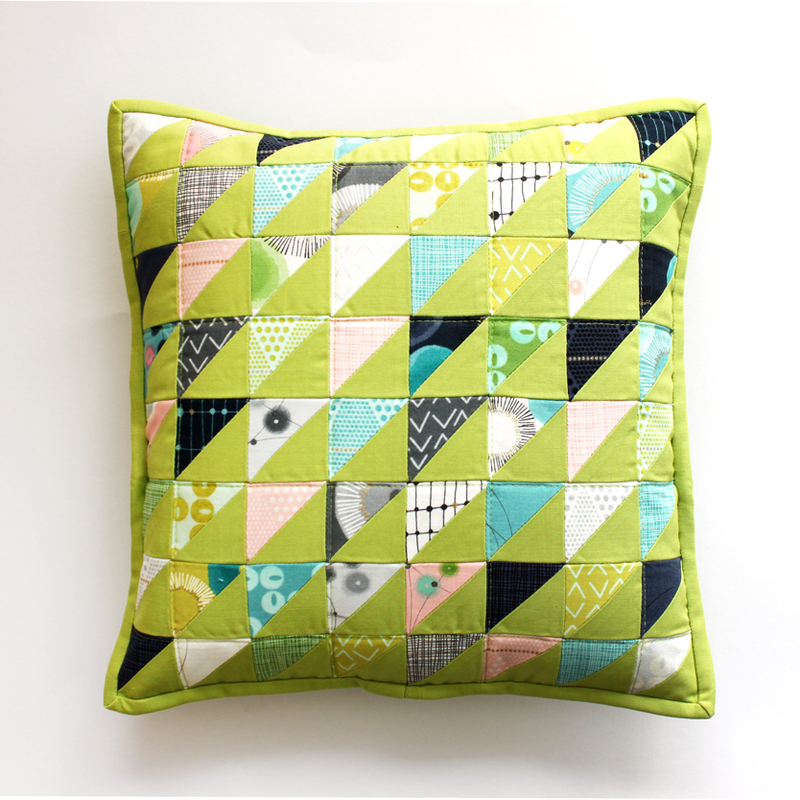 The half-square triangle pillow is a delightful, fun project that can easily be done in a day. My new fabric line, DAY IN PARIS , with its palette of cool aqua and chartreuse, deep navy and soft pale pink, enhanced by little splashes of gold gives this pillow a sophisticated, chic style. With the Minicharm Pack you'll find half of the little squares you need for this half-square triangles pre-cut, saving you some time so you can get the fun part - putting on this elegant, fun pillow together! Chartreuse paired with the cool hues and elegant gold accents of the day in the Paris fabric line creates a chic, modern look to this pillow. 1 pillow filling 12 "x 12"
This can either be a fun, scrappy project by cutting the mini squares from your own stash of fabric or as I mentioned previously, you can get all your prints pre-cut with the Day in Paris Minicharm Pack. If you choose to cut your own squares, start by making 64 half-square triangles using 32 print squares 2 1/2 "x 2 1/2", and 32 background squares 2 1/2 "x 2 1/2". Pair one solid and one print for making the half-square triangles. You can find my detailed instructions on how to sew a half-square triangle here . Make a total of 64 half-square triangles each measuring 2 "x 2" including seam allowances. Next, sew the half-square triangles, lay them out 8 x 8 and sew them into rows. Then join rows for the front of the pillow, with a finished front size of 12 1/2 "x 12 1/2" including seam allowances. Now you're ready for your pillow back. I recommend making a back with a zipper closure, and here's a great tutorial on how to create one. Center the pillow front and back with wrong sides and edges. Finally, your last step is to bind your pillow. You can find great tutorial videos on how to do this here and here . Congratulations! You now have a charming, sophisticated addition to your home decor. This project is fun, relatively simple and provides the joy of a finished product in a short amount of time.